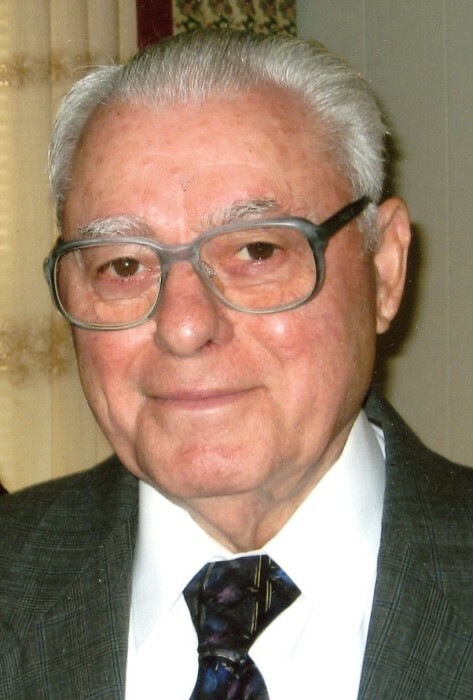 Mr. Gus Apostolos Kanos, 94, passed away Monday, April 15, 2019. He was born in Agia Vlaherna, Greece on August 20, 1924 to Apostolos and Maria. Gus was preceded in death by his parents Apostolos Katsanos and Maria Stambolitis Katsanos; and his siblings, Dionisios Katsanos, Nikolaos Katsanos, Dimitrios Katsanos, Aikaterini Katsanos, and Fotene Katsanos. He is survived by his loving wife of 60 years, Stavroula G Kanos; son, Paul G Kanos (Fayetteville), daughter Maria G Kanos (Fayetteville) his beloved nephews and nieces of Greece, New York, and Charlotte, and many Godchildren. Gus served in the Greek Army during their civil war for three years. In 1951 he came to the United States. He first lived in Winston Salem, then Washington DC before moving to Fayetteville in 1953, where he lived with his cousin Bill F Kanos and wife Katherine until 1959 when he traveled to Greece and married Stavroula Katsanos. He owned and operated the Crystal Drive-In Restaurant from 1959-1968 with Chris A Hondros, James K Hondros and his beloved nephew Jimmy D Kanos. From 1968-1974 he co-owned the Empire Steak House with relatives. 1974-2014 he worked at Vick’s Drive-In, before he finally retired at the age of 90. Gus was a member of the National Evrytanian Association, but most importantly, he was a member of Sts. Constantine & Helen Greek Orthodox Church. He loved God, his church, and his family. He was a hardworking man who did his best for his family to achieve the American dream. He was a kind, gentle man who instilled his love of God and loving values to his children. The family would like to thank Father Alex and all our family and friends for their constant prayers and visits. Also, thanks to Dr. Manning and his staff at Cape Fear Valley Cancer Center and the Pruitt Health Hospice staff. A visitation for Gus will be held from 6 - 8 p.m. with a 7 p.m. Trisagion on Wednesday, April 17, 2019 at Rogers and Breece Funeral Home. A Funeral Church Service will be held the following morning at 10:30 a.m. on Thursday, April 18, 2019 at Sts. Constantine & Helen Greek Orthodox Church with Father Alexander officiating. Burial will follow the Service at Lafayette Memorial Park. In lieu of flowers, donations can be made to Sts. Constantine & Helen Greek Orthodox Church, 614 Oakridge Ave., Fayetteville, NC 28305 or to Panagia Prousiotissa Greek Orthodox Monastery, 404 Warner Rd., Troy, NC.